Vladimir is located 115 miles east of Moscow. 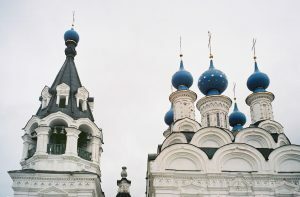 It is a former capital of Russia and the seat of Russian Orthodox Christianity – hence the choice of the Canterbury twinning. The city was founded by Vladimir Monomakh in 1108. 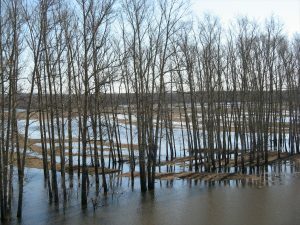 It has a population of over 300,000 and two World Heritage Site 12th–century cathedrals on the north bank of the Klyazma river. The famous icon ‘Our Lady of Vladimir’ was brought to the city in 1155. Andrei Rublev, one of Russia’s greatest icon painters, helped to paint the interior of the Cathedral of the Assumption in 1408. 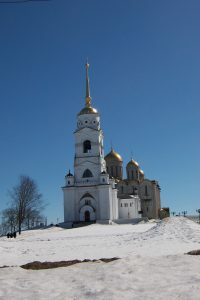 Vladimir is one of the famous Golden Ring cities, and a significant centre for tourists, along with the nearby World Heritage town of Suzdal. The centre of Vladimir has many fine old buildings resembling British Georgian style. The steep riverbank is unsuitable for modern development and hence there are numerous traditional old painted wooden houses in this area. The suburbs are a mix of industrial works and residential flats – the new ones are very fine. Vladimir State University is famous as a centre of academic excellence.